In the crowded BSC marketplace, it’s not enough to just deliver on the specs of an RFP and walk away. To stand out from the competition, you need to awe clients by going above and beyond expectations. Here are 10 tactics to help you leave a lasting impression and earn long-term and repeat business. 1. Be speedy. Don’t let emails, voicemails, or social media mentions linger for days on end. Reply to customers as quickly as possible; if possible, assign a staff member to handle inquiries so you can keep turnaround time to a minimum. In a world of poor customer service, clients will feel valued when you give a personal response within minutes or hours every time they reach out. 2. Tell the truth. This may sound obvious, but many companies lie and mislead customers. Always maintain an open dialogue with your clients and keep them informed of what’s going on in your company and with their contract. If a mistake happens, own up to it immediately. These simple steps will show them yours is a company they can trust for the long haul. 3. Teach them well. Play the role of educator by expanding your customers’ knowledge about topics of interest in your industry. Host a free workshop or webinar, send an informational e-newsletter each month, or occasionally send them a helpful book with a personal note. By serving as an educational resource, you’ll become a go-to expert whom your clients feel they can trust with their cleaning needs. 4. Kick it old school. In the digital age, there’s something special about getting a personal, handwritten note via snail mail. For just the cost of a postage stamp, you can show your gratitude and make your customer’s day. Not a bad investment! 6. Break bread. 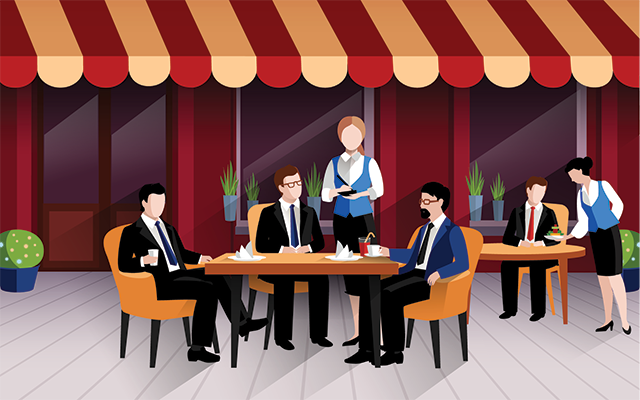 On a regular basis, whether it’s every quarter or once a year, invite your clients to lunch or coffee. Use the time to talk shop and to get to know them better as people. For clients that are far for in-person meetings, send a Starbucks gift card and have a virtual coffee date via Skype. 7. Give gifts. Sending a holiday gift is nice, but it may not be enough to set you apart from the crowd. Look for other opportunities to send a small token, like a gift card or a donation to charity in someone’s name. Once you get to know your clients on a more personal level, you can celebrate important milestones with them, such as birthdays, anniversaries, and births. 8. Refer to them. Look for opportunities to send business your clients’ way. Helping boost their bottom line won’t go unnoticed and, likely, they’ll feel compelled to return the favor with referrals to you. Win-win. 9. Anticipate their needs. Always be asking questions of your customers, whether it’s through formal surveys or informal conversations. The more you know about them and their business needs, the more you can be a true asset and partner. Based on what you learn, try to anticipate their future needs and offer advice about these services or products. Helping them solve problems they didn’t even realize they had is a surefire way to make a mark. 10. Reward loyalty. Don’t take your long-term customers for granted. Keep them around by showing your appreciation with a surprise discount. Take a small amount off a random bill one month, along with a personal note explaining the reason for the reduction. It’s a small price to pay for the long-term benefit of keeping a loyal customer around for years to come. 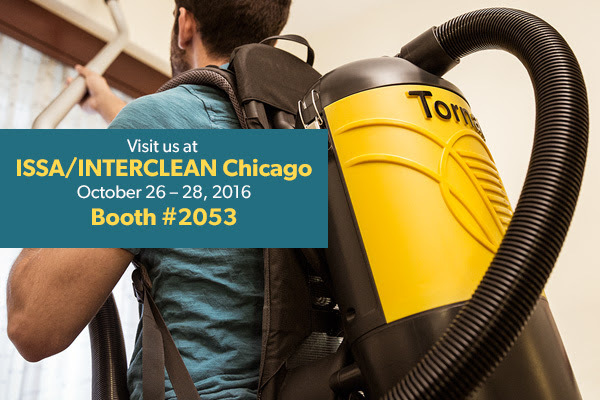 Don’t miss ISSA/INTERCLEAN® Chicago 2016. Nearly 16,000 of the world’s leading industry professionals, including top distributors, building service contractors, and in-house decision-makers attend the show, making this the best networking opportunity of the year. Each year, Tornado®, one of the industry’s most respected brand names for commercial cleaning equipment, reveals new products and innovations for the coming year. This year will not disappoint. Come visit us at Booth #2053 and see what Tornado has in store for the coming year.